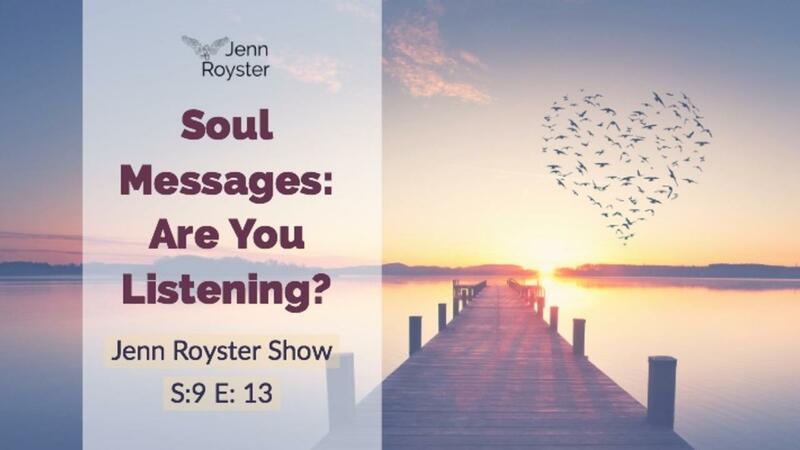 Spiritual Awakening and Soul Messages: Are You Listening? Spiritual awakening and the numerous experiences that go along with it can feel like a mixed bag of everything. Spiritual awakening symptoms have been on the rise as our soul begins to nudge it's way to the front of the line to be heard! We focused a full hour on the July 19th live broadcast to address these questions (watch full episode posted below). When we feel physical symptoms and nothing is medically wrong, it could be your soul trying to send you a message! We can hold emotions and old issues that need clearing in our tissue throughout our entire body. I discovered this quite well when I was a full time neuromuscular therapist (NMT). I am personally in gratitude for the angels and how they support us everyday. It's an honor to share my experiences with you. They have picked me up when I feel down or depleted. They have shown me every time that Love is all there is and that's what truly matters. Thank you angels! 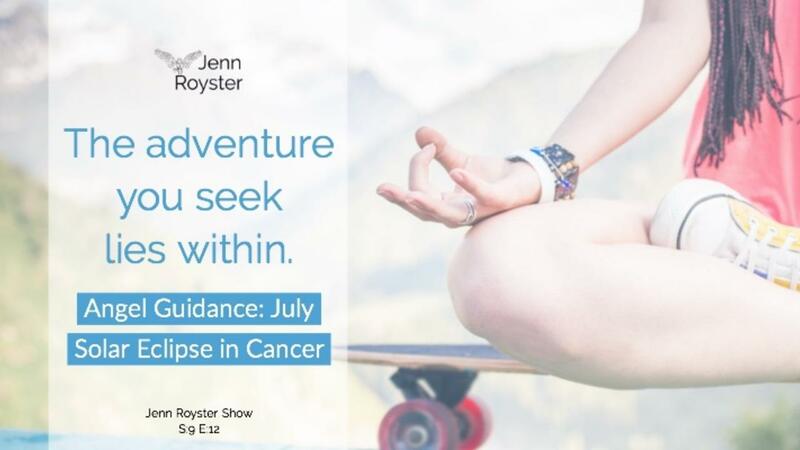 We have a partial solar eclipse July 12th in the sign of Cancer. (Note: for some of you this could be Friday 13th depending on your location.) What does this mean? There's a lot going on and I'm sure you're feeling it in one way or another. Cancer is a water sign and relates to emotions, nurturing, compassion, new beginnings, etc.. This solar eclipse marks the beginning of a new way. Rebirthing and digging in deeper than you've ever been brave enough to go within your soul. The adventure you seek lies within. Archangel Raziel comes through for July 2018. Reminding us all that our inner world is important in manifesting our new life. Taking time to reflect on our actions and adjusting as needed before moving ahead will serve us well. As we move into the second half of the year, manifesting our new life begins to take shape. Archangel Raziel offers his guidance to use this time wisely before moving ahead. This energy gives us opportunity to take a good look and review our past choices and adjust if necessary. Our inner world holds value and delivers key information as we tap in and listen. 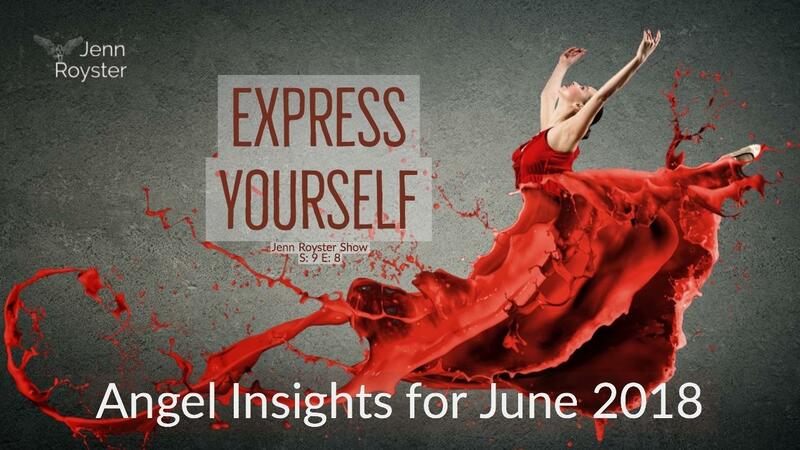 We dove right into the wisdom of Archangel Raziel on the June 28th live broadcast. Watch the full episode posted below. It's always a blessing to work this angel when working on our manifesting skills. I reached out to the angels for their guidance on the June 2018 full moon. 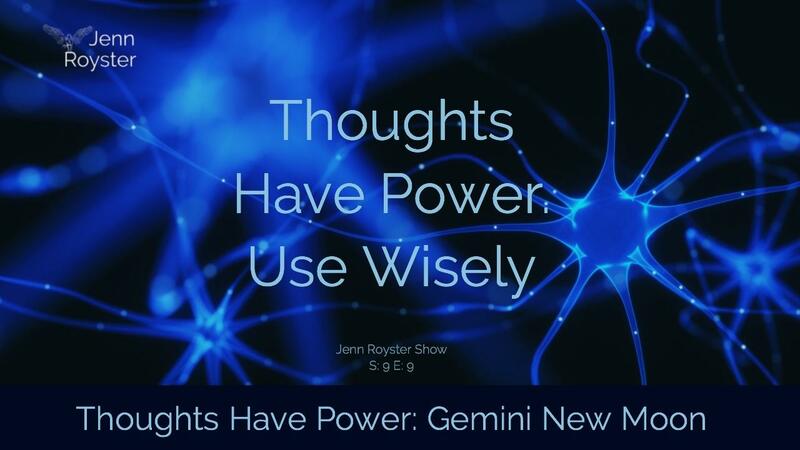 I shared their insights on key points moving in with the full moon on June 28th. The stage is set to finalize lessons learned and shift us to higher vibrational living. Think back to January 2018. What were you all about? Your dreams? What you wanted to accomplish? What was on your mind? If are willing to embrace this energy, June’s Full Moon in Capricorn is going to bring grounded, focused-driven determination to not give up and keep going. This boost of energy rolls in with perfect timing. This will support your efforts as you climb your own mountain and stay balanced. The pathway becomes clear to trust that you will succeed with strong will to stay in the game. This is a most opportune time to tap into what this energy offers. Watch full episode below. June has not disappointed in bringing powerful energy through for transformation. We went over why our thoughts are powerful and how we can be empowered and take charge of these thoughts verses negative thoughts controlling us. 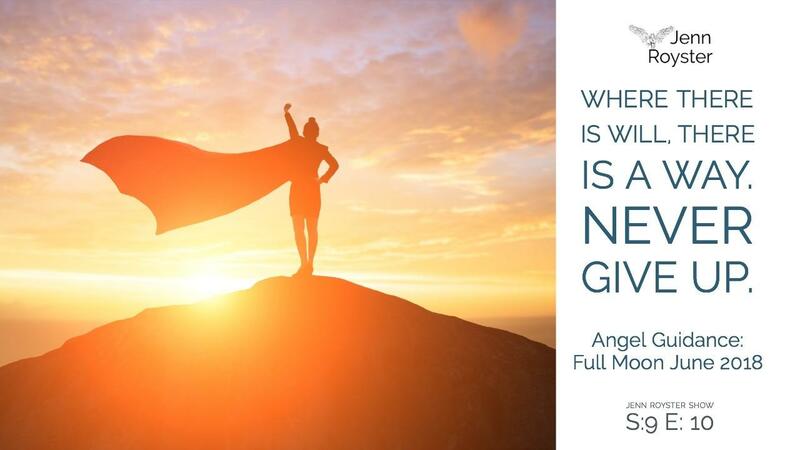 Great tips and how to's in this episode on finding your inner truth, tapping into positive thought power and overcoming the self critic. Decipher which ones are your inner truth and how to release the ones that sabotage your efforts. Thoughts have powerful energy and with a little thought weeding we can see clearly the path ahead. June is here and arrives with an energy trio of good vibes. Self expression is supported through stability and creativity. The perfect combination to bring your projects to fruition. June 2018 supports your truest self expression which manifests positive results when we respect ourselves in every way. There's opportunity for self talk to be examined and updated to better support you throughout the rest of the year. Grab hold of this energy and take it with you in whatever you choose to do. It will strengthen your spirit for your journey to a better way of life. We all see the negative trying to hang on for dear life. Let it go and redirect your focus. We have choices and we are supported in every way. When we believe in our ourselves, our dreams and self worth. We are manifesting great things to come into our lives. The angels support us when we take action and choose to honor ourselves. 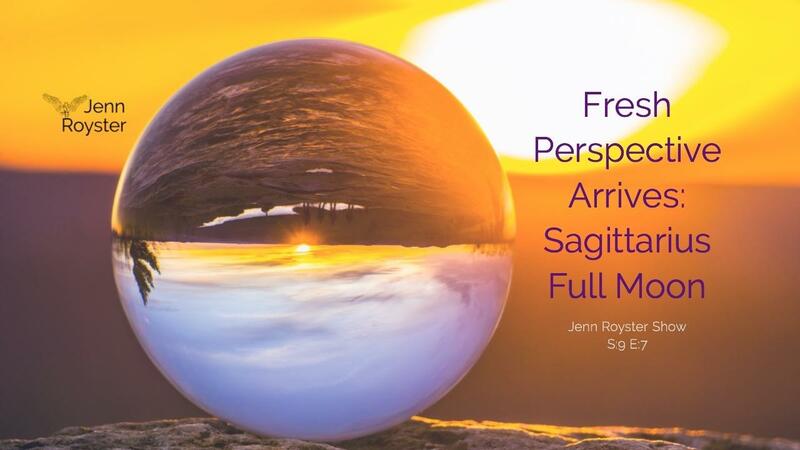 May 29th full moon in Sagittarius and brings fresh new insights to our daily lives. We have opportunity to see our greatest challenges through a different lens. Think... What would the opposite of this scenario be? Of course I checked in with the angels for guidance on this new exciting energy. They always have a way of showing me something new to share with you that helps me too! Love the way the universe does that. That's what this full moon brings to the table. New perspective, fresh new ideas and that means better choices and opportunities will reveal themselves to us. Are you up for the positive challenge of seeing your world in a new light? Most of us are ready for something new to emerge and replace the old. We explored all that this full moon has to offer us in the episode posted below. Have you been feeling the shift in energy recently? There's some interesting experiences happening all around and I have had a few myself. 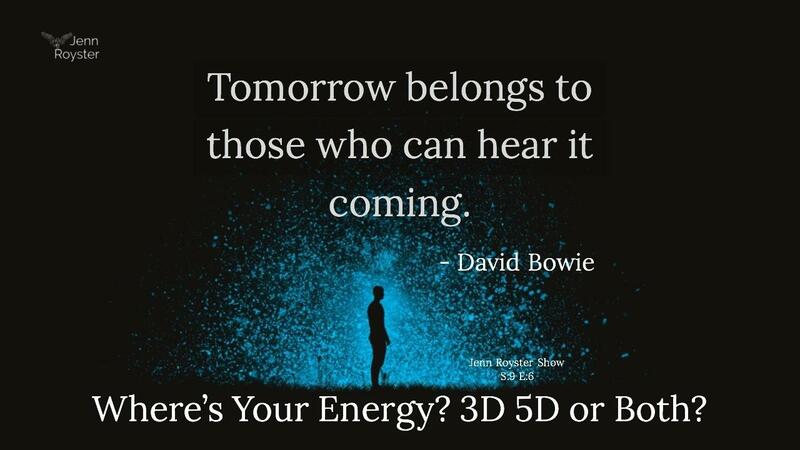 I've been hearing from others that they too, are feeling the back and forth sensation of being in 3D (3rd dimension) and then jump to 5D (5th dimension) reality. According to quantum physics, different dimensions exist simultaneously. I know I have had several occurrences of being in a 5D mindset but walking among a 3D setting. The theory goes, that you if you resonate at a 5D frequency and reality, you can also tap into any other lower frequency such as 3D. Meaning we can only connect to our highest resonating frequency and below. Accepting change for most of us, has got to be one of the most difficult things we go through in the human experience. But the fact remains, many of us resist the unknown territory. This Taurus new moon on May 15th drives this point home and can actually help us with life changes. We're all going our own unique experience with change, but I found this energy to be quite refreshing as it rolled in with the new moon. Why? Because a new perspective will be easier to see and this helps us gain insight and the bigger picture. We have at any given point opportunity to shift out of the old way of doing just everything in our lives. 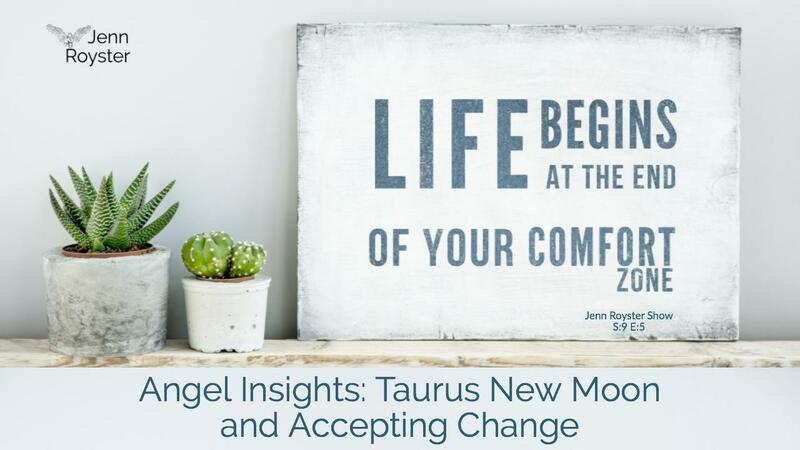 I went over the details of what I discovered about this Taurus new moon and accepting change in the May 10 broadcast. You can watch the full episode below. 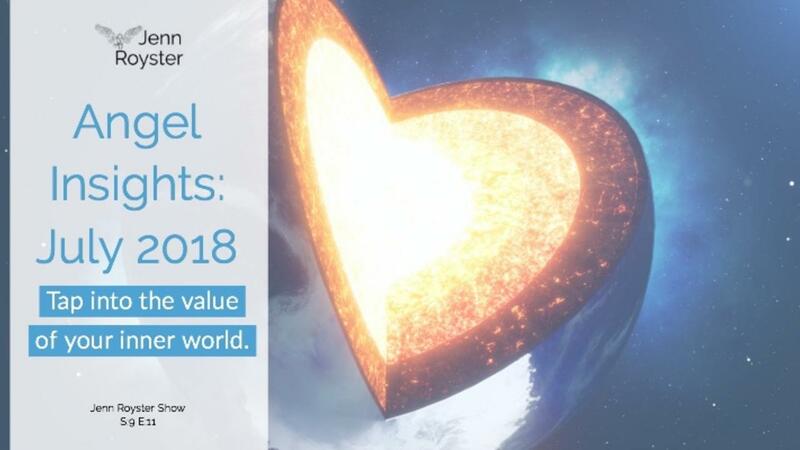 I share angel insights in this episode and yes, we are still talking about good news for May 2018. May 2018 is loaded with fabulous energy. 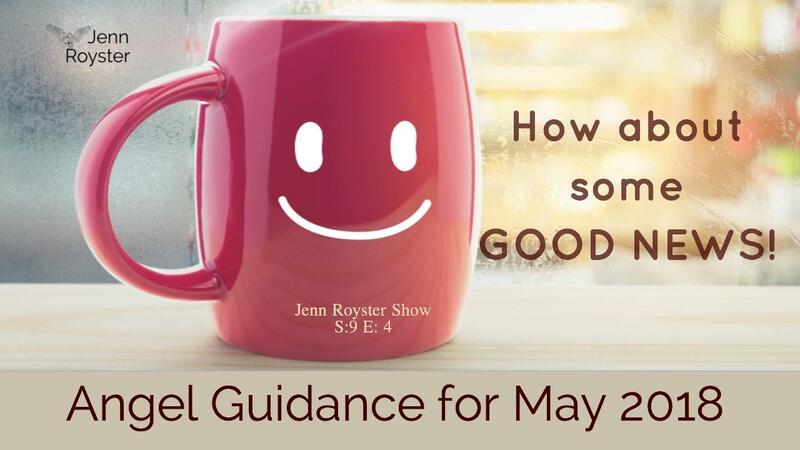 In the May 3rd live broadcast, I shared the angel guidance I received for the month. This not only inspires us and lifts our hearts, but also wakes up the momentum we need to move forward. The energy is optimistic and a sigh of relief from what we've been feeling in the past month or few months for some. However, it's not a month to sit around and do nothing. This month brings active relief. Infused with exhilarating energy to motivate you. Delays, obstacles or hesitations fade away. It will also be much easier to see a positive viewpoint and know which direction you want to take dreams and manifesting for the future. Personal or career, this month brings exhilarating energy to your plans.